UPDATE (April 24, 2018): DOL regrets that due to scheduling conflicts, we have canceled our Community Visits in April. We are very excited to connect with residents across the State and will be releasing information about these opportunities very soon. Please check back here for updates. Olympia, WA – This month, officials from the Department of Licensing will begin traveling the state to share the agency’s work to better protect the personal information of all Washington residents. In January, a Seattle Times article pointed out deficiencies in DOL’s compliance with an executive order issued by Gov. Jay Inslee that reiterated Washington’s commitment to its policies on services to immigrants and outlined actions to ensure state agencies are clear on their expected roles and responsibilities with respect to law enforcement and data collection. Following the Times report, DOL Director Pat Kohler pulled together a team of subject matter experts from across the agency and has been meeting with community leaders to review how data is collected, managed and shared. An improved and more thorough review of law enforcement requests to ensure that all requests to DOL’s License Integrity Unit are properly processed and tracked. Additional review of all immigration-related requests, which DOL will now only process if accompanied by a court order. See attached LIU summary graph for details. Increased security related to access to DOL’s Driver and Plate Search (DAPS) system and sharing of Social Security Numbers. Elimination of the collection of place of birth for standard drivers’ licenses and identification cards. Creation of a new Office of Community Engagement to help educate and provide support for the public and to expand our accessibility and efforts related to Equity, Diversity and Inclusion and Civil Rights compliance. Establishment of a hotline, 360.359.4454, where concerned residents can check to see if their data was shared with ICE. “Though this list is not complete, it does provide some insight about the policy and process changes that are helping us protect customer information, support law enforcement and assist residents who have questions about the information we share with federal immigration agencies. More details about our EO Compliance project are available on our website, and we will continue to update the site in the days and weeks ahead as more work is completed,” said Krista Carlson, Director of DOL Communications and Education. Rafael Estevez recently joined DOL as the agency’s new Director of Community Engagement. His initial work has focused on meeting with stakeholders and consulates to identify the barriers and challenges that exist for vulnerable populations and residents who are having difficulties accessing services. Estevez and director Kohler will participate in the community visits, which begin in central Washington next week. The pair plans to make initial stops in Lake Chelan, Wenatchee, Granger and Yakima. Rising temperatures in our state mean an increasing number of motorcycle riders will be out on our roads. These riders can be difficult to see on busy roads because of their smaller size and profile. Motorists should take an extra moment to look twice. A second look can save a motorcyclist’s life. May is nationally recognized as Motorcycle Safety Awareness Month to bring attention to motorcycle safety. In 2015, 72 riders lost their lives in motorcycle collisions. That’s 72 people who went for a ride and did not make it home. “Motorcycle safety depends both on motorists sharing the road with motorcycles and motorcyclists making good decisions to help them reach their destinations safely. If everyone does their part, I am confident we will see fatalities drop in 2016,” said Department of Licensing Director Pat Kohler. To help drivers understand what they can do to make roads safer for motorcyclists, the DOL’s Motorcycle Safety Program created a motorcycle awareness video called “A Second Look” that has received hundreds of thousands of views on YouTube and millions of shares around the world on Facebook. In 2015, 73 percent of the motorcycle fatalities were the fault of the rider, with the top three causes being alcohol or drug impairment, rider negligence, or excessive speed. Riders have the ability to minimize or eliminate these risks through continued training. DOL’s Motorcycle Safety Program will promote the benefits of motorcycle rider training this year with an exciting new video called “Training is Everything”. Emphasizing the importance of choices and consequences while riding, the Washington Traffic Safety Commission created the IT’S A FINE LINE website filled with interesting information and opportunities to get involved with state motorcycle safety efforts. More information about motorcycle safety training and motorcycle endorsement requirements is available on the DOL website. The playlist below features six videos concerning motorcycle safety, including the videos mentioned in this blog post. National Teen Driver Safety Week is Oct. 18-24, and the Washington State Patrol, Washington Traffic Safety Commission, numerous partners around the state, and the Department of Licensing want to encourage parents to use the “5 to Drive” rules to talk to their teen drivers about safety on the road. Motor vehicle crashes are a leading cause of death for teens and young adults. In 2014, there were 530 serious injury crashes and 147 fatalities among Washington drivers between the ages of 16 and 25. For more information about Teen Driver Safety Week and the “5 to Drive” campaign, please visit the National Highway Traffic Safety Administration website at: www.safercar.gov/parents. It has detailed information and statistics, and informative videos designed to help save the lives of teen drivers. The video below is from the National Highway Traffic Safety Administration’s YouTube channel. This video shows us why it’s important for parents to talk to their teens about this important issue. 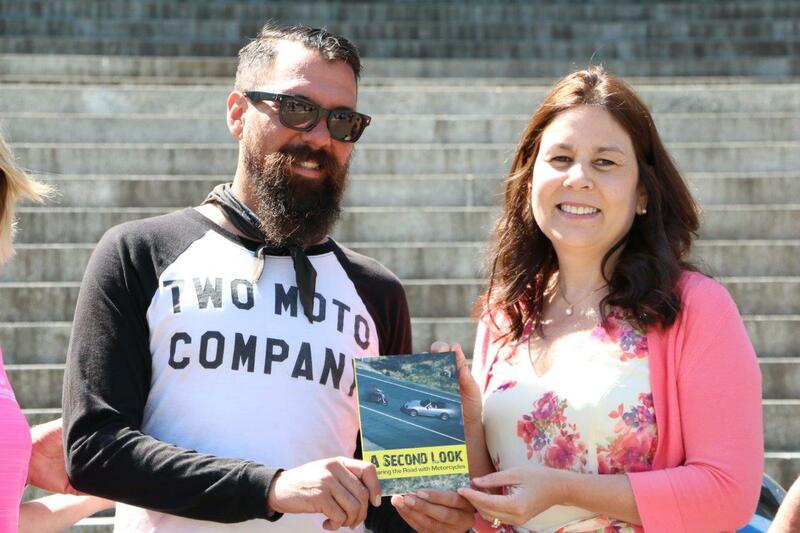 Nate Hudson and DOL Director Pat Kohler holding a copy of the video, “A Second Look,” in Olympia on July 23. Motorcyclist Nate Hudson is logging 17,000 miles during the course of the “Ride for Awareness” campaign, sponsored by Allstate Insurance Company. On July 23, Hudson’s journey reached Olympia, where he spoke with Department of Licensing Director Pat Kohler. Hudson praised Washington state’s efforts to protect riders on the roads, including the DOL’s video, A Second Look. The video addresses the role of motorists concerning motorcycle safety. For more information about the Ride for Awareness campaign, visit Allstate.com/ride. And for regular updates on Hudson’s whereabouts as he travels the country, checkout Instagram.com/BA_Moto. OLYMPIA — The Department of Licensing has partnered with the Safe Roads Alliance and State Farm Insurance to launch a new program that provides parents and guardians with a simple, easy-to-follow plan designed to help teens develop safe driving habits. The Parent’s Supervised Driving Program guide is packed with information and lessons on driving basics, parental pointers, and licensing qualifications that are helpful to parents of new drivers. The program is supplemented by the RoadReady mobile app, which can easily and accurately track the required supervised driving time of 50 hours, including 10 hours of night driving. 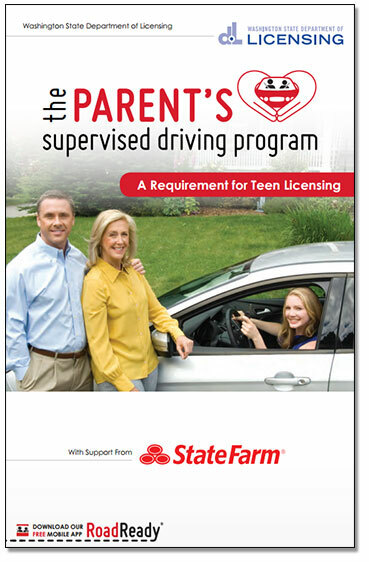 Last year, 76,500 Washington teens sought instruction (learner’s) permits, and the Department wanted to provide parents with a resource geared toward skill development and expanding the conditions and time that teens drive with their parents prior to driving independently. The program focuses on the role of the parent in the teen driver education process and encourages parents and teens to drive together in a variety of weather conditions and unfamiliar settings, city and heavy traffic routes, and also various times of day. According to the Children’s Hospital of Philadelphia and State Farm study, Driving Through the Eyes of Teens, teen drivers whose parents are highly involved in the teen driver education process were half as likely to get in a car crash, 71 percent less likely to drive intoxicated, 30 percent less likely to use a cell phone while driving, and twice as likely to wear seatbelts. The free program guide is available at driver licensing offices around the state. 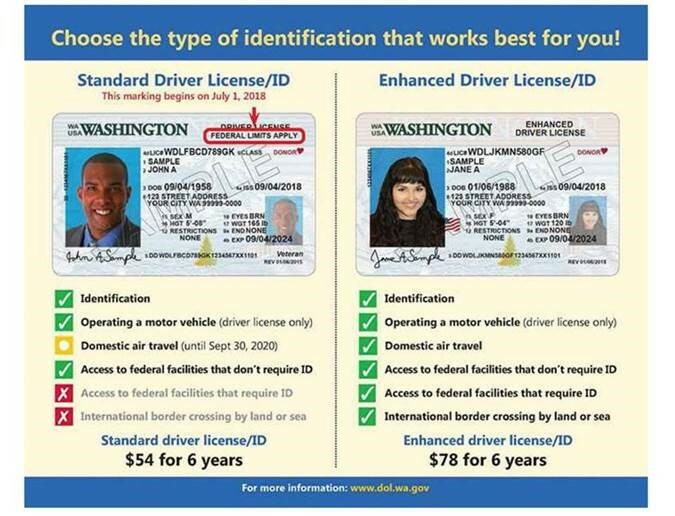 It is also available on the DOL website at: http://www.dol.wa.gov/driverslicense/docs/parentguide.pdf. The RoadReady mobile app is available at the Apple Store and Google Play.